Science has proven that you can use meditation for anxiety. And I am going to show you how. As a meditation teacher who used to suffer from severe anxiety, I know probably more than anyone just how good meditation is for anxiety. Because for years I suffered from anxiety. That was before I started meditating. I used to have anxiety so bad at times I couldn’t breathe. My anxiety gave me panic attacks (incidentally, here’s how to stop panic attacks with meditation). And my anxiety gave me many of the symptoms of depression (and yes, you can stop depression with meditation too). But I managed to control my anxiety with meditation exercises. After I’d cure my own anxiety I started to help other people. And oh boy were there are a lot of people who wanted a cure for anxiety. So many people ask me: Can meditation help anxiety, and if so, how quickly does it work? The answer is a resounding YES meditation stops anxiety! And in my experience, meditation can reduce the symptoms of anxiety within 20 minutes. But if you do have anxiety, meditation can help. There is a direct connection between meditation and anxiety. And honestly, when you start to meditate, anxiety will lessen within 20 minutes. So, let’s now take a look at the best meditation exercises for anxiety. There are some brilliant meditation techniques for anxiety. In fact, most of the traditional types of meditation will help you to stop anxiety fast. However, even though most meditations help anxiety, exercises vary in efficacy. Many people ask me: What is the most effective meditation for anxiety? And over the past 10 years I have learned that the following 11 exercises helps anxiety more than any other. Let’s take a look at the absolute best meditation techniques for anxiety. Breathing meditation techniques are simple and very effective. They calm the mind and produce inner peace. They’re basically like a breath of fresh air when you’re feeling stressed. The next time you feel stressed, take ten minutes just to focus on your breathing. This will relax your mind and help to quickly reduce the symptoms of anxiety relief. If you find that your breathing pattern is irregular or uncomfortable a lot of the time, the best way to reset it is by exercising. Start off gradually and check with your doctor if you are not used to exercise. Stand or sit comfortably with good posture. Relax your knees and hands and drop your shoulders. Let your jaw relax. Take a deep breath in through your nose while counting to four. Let the air fill your stomach, breathing deep. At the end of the inhalation hold the breath for a short moment. This is one of my favorite breathing meditation exercises for anxiety. It’s really easy to do. It’s similar to mindfulness meditation technique. To do this exercise, you must focus your mind one hundred percent on your breathing. While doing this you will hum. And that’s all there is to it. It is a very simple trick, and it is without doubt one of best breathing meditation exercises for anxiety relief. Stand or sit with good posture, relaxed jaw, relaxed shoulder, relaxed knees. Place your thumbs lightly over your ears and your fingers over your eyes. Focus on the sound of the humming. Allow the humming to be the only thing in your mind (meditate on it). Breathe out slowly and repeat ten times. This is the most commonly used breathing meditationfor anxiety and arguably the most effective (though I recommend trying all three). Relax shoulders, knees, neck, etc. Allow the air to fill your stomach. You will feel your chest rising a little. You may find it helpful to place a hand over your stomach and visualize the air filling deep down into your stomach. Exhale through your mouth, your lips pursed and your tongue and jaw relaxed. Alternative nostril breathing is another breathing meditation for anxiety. As well as stopping the symptoms of anxiety it also relieves stress. 1. Close one nostril with a hand and breathe in through the other nostril. 2. Change your fingers so the first nostril is now closed and the other nostril open. 3. Breathe out through the second nostril (the nostril that was closed when you breathed in). 4, Breathe in again through this same nostril then repeat the process. There are many Buddhist meditation exercises for anxiety. One of the best methods is the Smiling Buddha technique. “Smiling Buddha” is a meditation technique that is all about creating happiness. It’s an intermediate-level meditation technique. It is best for people who have at least a little experience with meditation. It is fun, positive, and easy once you know how to do it. This technique involves a combination of mudras (hand position) and mantras (repeated words) to create deep relaxation and happiness. Smiling can reduce stress – and it’s even more effective when your eyes smile too! Nobody is quite sure how exactly facial expressions are related to a person’s underlying mood, but researchers have found a definite connection. So how do you use this meditation for anxiety? Take a look at my article on Smiling Buddha Technique. When you’re feeling down, a nice long walk helps. The only thing better than a walk is a Zen walking. This is one of the best meditations for anxiety. In Zen Walking you walk up and down a path while meditating on the sense of movement. This allows you to get some fresh air (important for anxiety), to clear your mind and to find relaxation. Here is my free guide to Zen Walking. Scientific research proves that positivity makes you healther both physically and mentally. When you think sad thoughts you become sad. When you think thoughts that make you anxious, you become anxious. One of the best ways to take control of your anxiety is by controlling what’s in your mind. And one of the best ways to do that is be using visualisation meditation for anxiety. 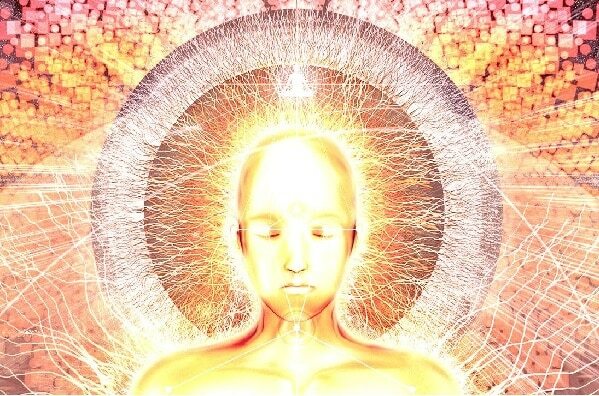 Visualisation meditation is one of the more advanced meditation techniques for anxiety because you have to use your imagination. Imagine standing at a beach. See the blue water reaching out in front of you. Heart the gentle swoosh of the waves. Feel the refreshing air on your skin and face. Imagine casting out any negative thoughts. The thoughts low out of your mind into the blue sea. Watch as the thoughts vanish into the distance. An alternative form of visualisation is self hypnosis. If you’re interested, take a look at my guide to using self hypnosis to cure anxiety. You’ll find it below. Another of the meditations for anxiety is body scan. This technique reduces the physical symptoms of anxiety. It does this by passing consciousness around the body. As someone with anxiety, when you feel anxiety coming on you might panic. Controlling that initial panic is half the battle. With body scan meditation you learn to recognise the very early stages of an upcoming panic attack. You can then take steps to cut-off the anxiety before it becomes an issue. 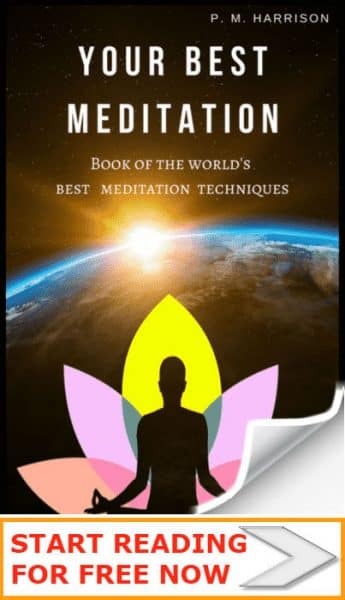 Take a look at my free guide to body scan meditation for more on this. Scientific research has proven that arguably the best meditation technique for anxiety is mindfulness. Mindfulness involves focusing the mind 100% on the present moment. You will be so much happier once you use mindfulness for anxiety. It really helps treat anxiety and panic attacks, as well as other issues. Living in the present moment is called being mindful. Sit comfortably, close your eyes and focus on your breathing. Specifically, focus on your breath coming and going between the space between your nose and lips. While focusing on this spot, be aware of any thoughts or feelings entering your mind. Do not dwell on these thoughts and feelings, do not resist them, do not encourage them, simply observe them, as though you were a mere onlooker to your own mind. If at any time you feel yourself losing focus or becoming absorbed in your thoughts, return your focus to the spot between your nose and mouth. Practice this exercise for twenty minutes and you will notice significant improvements in your anxiety symptoms. There are many self healing meditations. For social anxiety, there is one technique in particular that I find helpful. I suffered social anxiety for years. I used to get red in the face chatting to just about anyone. Then I started using this meditation for social anxiety. The first step to overcoming social anxiety with meditation is done somewhere private. Find somewhere quiet where you will not be disturbed for twenty minutes. 1) Focus your mind on your breathing. Specifically, focus on your breath moving in and out of the region between your nose and your mouth. Do this for five minutes. You will find that you are very relaxed after five minutes of breathing meditation. 2) Now think about a social situation in which you would feel anxious. Try to focus lightly on this imaginary situation. (You can use #4 above for this). 3) Notice the thoughts and feelings that come to mind. You may find certain images or sounds entering your mind. These mental sensations will be related to your anxiety. You are going to eliminate these mental sensations, thereby lessening the symptoms of social anxiety. 5) Continue this exercise for twenty minutes, focusing on your breathing and reminding yourself that any thoughts you experience are only thoughts. The next step repeats the process. But this time it is done in a social situation. As you interact with other people, observe your thoughts and feelings. Every time you feel anxiety tell yourself, “This is only in my mind, it is not real” then focus on your breathing for a moment. This will relax you and completely eliminate your social anxiety. 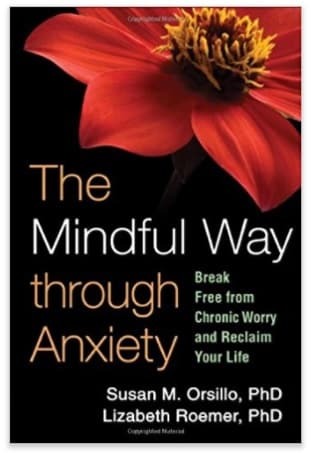 In The Mindful Way Through Anxiety, psychologists Susan M. Orsillo and Lizabeth Roemer introduce mindfulness and reveal how you can use mindfulness to stop anxious feelings before they escalate, and to stop fear and worry. This is a beautifully presented book full of great tips and insight. THE DAILY MEDITATION highly recommends it. Anxiety is often caused by the negative information you take into your mind. Yoga can help. For starters, there’s Trauma-Sensitive Yoga. And then there is Pratyahara, which helps remove the causes of stress. In this technique, you basically limit your exposure to things that make you feel anxious. Pratyahara yoga targets these sources of negativity. When we do Pratyahara yoga, we remove sources of negativity from our lives, and we increases sources of positivity. This can have a tremendous effect on anxiety. Read my guide to Pratyahara Yoga for more on this. An alternative to this is to simply take more care of your mental hygiene. MBCBT is an extension of cognitive behavioral therapy. It is a method of using specific strategies of thinking in order to change negative thoughts. Take a look at the link above for more on this. Self hypnosis is a very practical and healthy way to cure anxiety. Self hypnosis is all about using the power of suggestion in order to influence your subconscious mind. Your subconscious mind is the most powerful part of your mind and is millions of times more powerful than your conscious mind. If you’re interested in curing anxiety by using your mind, I highly recommend you read my guide to subconscious mind power. Self hypnosis is used a lot in modern hypnotherapy. And it has been used to cure anxiety, as well as to improve pain management, to cure depression, to relieve sleep disorders, and to combat obesity and other common health conditions. People who are well practiced in self hypnosis also use it to improve concentration, memory, and cognitive function. 1. Motivation: The first time you use self hypnosis it will require patience. Make sure you have the motivation to do it properly. 2. Relaxation: You want to make sure that you are relaxed before you start. So you can either choose a time when you’re already relaxed (use the breathing meditations we looked at above). 3. Concentration: You will need to focus when you do the self hypnosis for anxiety. So try to get rid of any distractions before starting. Sit or lie down in a comfortable position with good posture and a straight back. Close your eyes and focus on your breath for five minutes (meditating). Then begin to meditate on your body and focus on the sensation of your body relaxing. Continue until you feel relaxed. Imagine the most relaxing scene you can think of. Maybe it’s a beach or a waterfall, maybe it’s floating above the clouds. . . it doesn’t matter where so long as it is very relaxing (use the visualization from step #4 above if you like). Imagine that you are stepping into your imaginary scene. Gradually enter further into the scene. Use your senses. Look at details of the scene. Imagine any scents. Imagine the feeling of the relaxing air on your body and so on. Count from one to ten, imagining that with each count you step more into the scene. You are heading towards the most relaxing part of the scene, a special place full of calm and relaxation. As you count, tell yourself that you are feeling more and more relaxed. Now establish a “Trigger”. In order for you to be able to recall the sensation of peace and relaxation you need to create a trigger. To do this, say a line to yourself that expresses how you are feeling. For instance, “I am at total peace. I am safe, happy and comfortable.” Use your own words but find a short line that describes how you feel. Say that line to yourself. Repeat your line to yourself. Meditation is the most intelligent way of handling anxiety. Anxiety is a stress response to difficult situations that we encounter in life. This is why your first strategy should be to stop stress in your life. And we all know that meditation stops stress. Whether you have stress, momentary anxiety, or a serious anxiety disorder, meditation helps. It helps because it cuts out the causes of anxiety. And there are a lot of those. And some people report getting anxiety for no reason at all. No matter the cause of anxiety, meditation will help. One of the main reason it helps is because it stops what psychologists call “Negativity Bias”. The underlying reason for anxiety is improperly managing negative thoughts. Truth is, people are natural born worriers. Statistics prove it. For instance, did you know that 25% of people will live with anxiety at some point in their life? And, let’s face, it, 100% of people will experience worrying. Anxiety is the most common mental illness, affecting 18% of the population. Why do so many people have anxiety? In other words, people think the worst rather than the best. We pay more attention to negative events and to threats than we do to positive events and opportunities. We can change this, however, by using the meditations for anxiety that we have looked at above. But here is something to think about: There is a reason for anxiety and a reason for negativity bias. Negativity bias served an important role in evolution. Thousands of years ago man was consistently threatened by predatory animals. In order to survive, it was imperative that we be able to detect threats quickly. Therefore, our brain evolved to be able to find and recognise potential dangers. Caveman one thinks, “there’s a T-Rex around the corner”. He feels anxious. But he checks for the T-Rex. So he survives. Caveman two thinks, “this area is safe”. He feels confident. No anxiety at all. He doesn’t bother to check for a T-Rex. Chomp! He gets munched. Millions of years ago people with anxiety might have survived for longer. Flash forward millions of years. Now we’re at the top of the food chain. But we still have negativity bias. Evolution takes thousands of years. So even though we are no long threatened by predatory animals, our brains still looks for threats. This leads us to think negatively, which in turn makes us worry. So the next time you think you’re weird for having anxiety, remember that actually your anxiety used to be a strength. Scientific research has proven that one of the best treatments for anxiety is meditation. When you use meditation for anxiety you train your mind to be quiet and peaceful. Another scientific study looked at evidence from 39 difference studies to see the effect of mindfulness for anxiety ( 3). This included people who had anxiety because they were living with cancer, people who suffered social anxiety, and people who had other forms of anxiety. The study looked at 1140 participants in total. Researchers concluded that mindfulness meditation helps anxiety by making people more aware of their thoughts. This helps us to control those thoughts. A study at Stanford University showed the benefits of 8 weeks of mindfulness meditation for anxiety. 8 weeks mindfulness reduces activity in the amygdala (4). Anxiety is often caused by greater reactivity in the amygdala region of the brain, which is the region that triggers fear. By reducing activity in this area, mindfulness reduced the symptoms of anxiety. Researchers at Georgetown University Medical Center conducted research on 89 patients suffering from Generalized Anxiety. They found that we can use Mindfulness Based Stress Reduction for anxiety. Mindfulness Based Stress Reduction decreases stress-related hormones and cell-signaling proteins. This, the study authors state, shows that meditation is a healthy and effective way of treating anxiety (5). Researchers at the University of Baltimore looked into nearly 19,000 studies on meditation and anxiety. They then advocated the use of mindfulness meditation for anxiety. Mindfulness based stress reduction (MBSR) helps patients with generalised anxiety disorder to understand the different types of thoughts and to respond to them accordingly. People with anxiety tend to give negative thoughts too much attention. They believe their thoughts control reality. For instance, they believe that if they are thinking they’ll lose their job, they really will lose their job. Mindfulness meditation helps these individuals to distinguish thoughts from reality. These and numerous other studies prove that we most definitely can use mindfulness and meditation for anxiety. And if you don’t mind paying, you can use Transcendental Meditation for anxiety too. 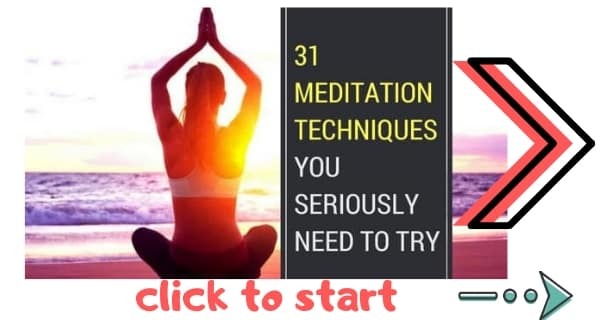 I want you to be successful in using meditation to cure anxiety. With that in mind let me give you a friendly warning. There is one mistake that a lot of people make when they try meditation. They make instant demands. The key to using meditation for anxiety is to go gently. Don’t expect a miracle. Expect to gradually reduce the symptoms of anxiety. When you practice meditation you might be surprised by the results. Your meditation practice might be different to how you expected. That is fine. The key to success is trusting the techniques. You have to allow meditation to take you where it will. When you fight, you just add to your anxiety. When you simply sit and meditate without fighting, you allow nature to take its own course, to correct problems in its own way. Meditation will create very positive results, but those results might not take the exact course you expected. Trust in your practice and it will work for you. Now, let’s look at the best meditation techniques for anxiety. There are lots of natural and healthy ways of stopping anxiety. Scientific research proves that we can most definitely use meditation for anxiety. And in my experience, the methods we’ve looked at above are the best best meditation techniques for anxiety. Self hypnosis, natural herbs, and other strategies can help too. And there is good news coming in that flotation tanks stop anxiety too. Anxiety is a personal thing. Different strategies seem to work for different people. And in case you’re interested, here is how to help someone else with anxiety. Which anxiety technique works for you? Yes Yoga and Meditation is the best way to deal with Anxiety..Thank You for your informative post..